Gardening and Tree Surgery EN Enfield | Quality Property Care Ltd.
Quality Property Care Ltd. is open for your requests 365 days per year - including in week-ends and bank holidays. Contact the type and courteous garden maintenance customer help reps right away to get more info. Utilize this phone number 020 3746 4287 in a most practical for you time! We'll be ready for your call and order! In order to have a perfect lawn you must take care of not exclusively the soil, but also the turf itself. Ordinary maintenance and trimming helps the grass to spread, develop better root systems helping them to last longer, nourish far better and simply just be better looking. To obtain a incomparable lawn we use a number of methods which allow us to inject the soil with nutrients that nourish the grass. Ordinary trimmings are also in order, not solely to maintain it short, but to also have the grass spread more, as plants frequently do when not permitted to grow in height. We have fall months lawn care, springtime lawn care, summer lawn care, lawn aerations, lawn top dressing, lawn scarification, and lawn feeding. All those services can be employed if our gardeners see that it is important. Generally our service encompasses the upkeep and improving of entire gardens, with specific work for lawns, tree surgery, lawn mowing and care, patching, reseeding, fertilizing, watering, edging, weed removal & weeding, tree pruning and ivy elimination of up to 12 feet in height for trees and shrubs. It’s also likely to take away entire trees, up to 12 feet in height. We can prune hedges, trim hedges, execute garden clearance and leaf clearance with up to 180lb of garden waste completely free. Extra clearance weight will be priced accordingly, and you are going to be warned beforehand. We pick up and dispose of up to 180lb in garden waste and remove it ourselves. Quality Property Care Ltd. is so dedicated to bringing excellent end outcomes, that our service is available seven days a week even if the climatic conditions are awful. We arrive fully prepared with a vast assortment of materials and devices from hedge trimmers to lawnmowers, aluminium ladders, jet washes, grass trimmers, chain saws, shovels, scissors, hammer, brooms, moon spade, weeding tools, tarmac, weed kill tools and electrical extensions. We do not count on you to offer anything at all so don’t be anxious about finding the adequate tools - we come all geared up! 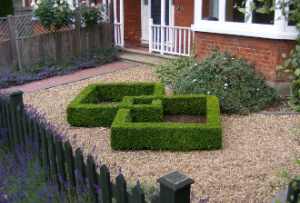 Quality Property Care Ltd. top rated gardening company in Enfield EN follows the motto of particular approach + special focus to specifics as the most effective formula for success. Except regular lawn care, leaves cutting & clearance, the skilful gardeners additionally pay attention at speedy ivy removal, grass cutting, weeding for a far more eye-catching look of the garden, strick back and schrub, and also careful jet washing, edging, rotavating and levelling. As a consequence of such a sophisticated approach for decent and top-to-bottom garden maintenance, you will have an outer walls to appreciate with no efforts! In addition - our gardening services are reasonably priced and low-cost! And you can obtain the service at a regular basis or just once in a while. As expert gardening provider our professionals can certainly sustain a well groomed garden, with all gear provided by our staff. All you need to do is give us a call and we’ll dispatch to you a surveyor, he’ll meet you so he can check your property and discuss with you about your ideas and vision of exactly how your garden should look. Based on that, we could give you an estimate of how long will it take us and also how many hrs you’ll need to reserve. 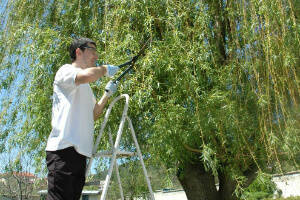 In the service we incorporate tree surgery, de-liming, watering, hedge trimming, weeding, ivy removal, lawn maintenance and care, planting of flowers, roses, hedges, trees, pruning, pest control, orchard maintenance, garden waste removal - up to 180lb of garden waste absolutely free of charge! In order to book a gardening service, or a mixture of gardening services, just call 020 3746 4287 or send out an online reservation request. The client care service is quite helpful, and more importantly is accessible, so you will receive a written confirmation almost instantly through SMS and e-mail. No deposit is needed for booking. You could discuss the precise tasks and the time they will take with the gardeners which will appear at the area with all important tools and materials. Booking is available for Saturdays and Sundays and bank holidays too, with no additional fee, so book today, and ensure to have the prettiest garden in your local community.